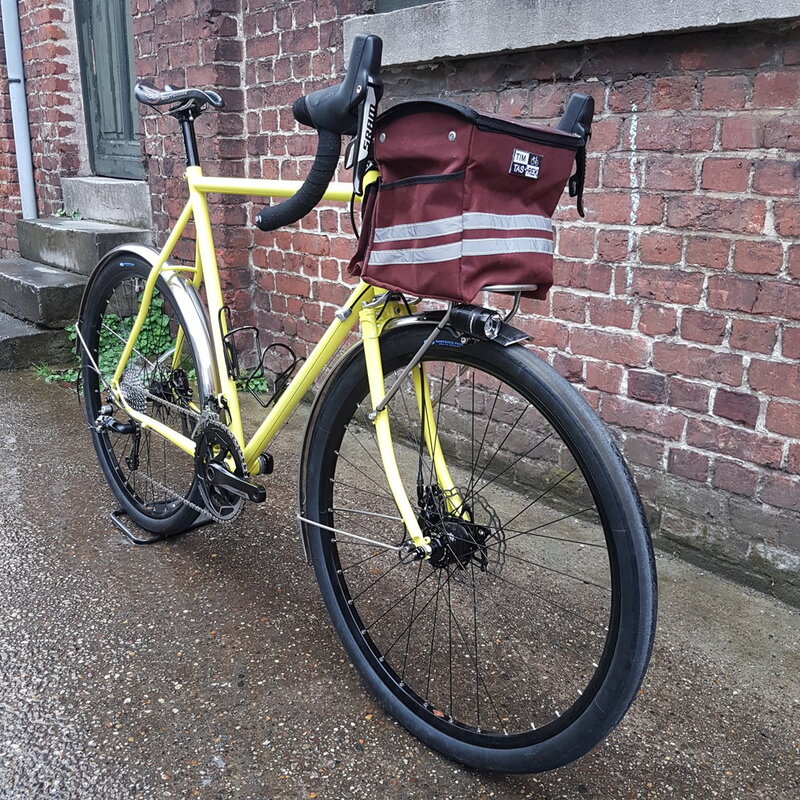 You can call it gravel bike, tourer, commuter, randonneur ... it's my favorite type of bike: go-anywhere tires, dynamo powered lights, front rack and bag, fenders. The wheels were built by Cycles Get Lost and the bag and rack are custom made by Tim Tas & Rek. The frame is fillet-brazed from Columbus Zona tubes, built-up with a Sram Rival 22 Hydro group, Hope headset, Thomson stem and seat post. For the wheels I used Pacenti CL25 rims and a Hope Pro 4 rear hub. The front hub is a SON 28 dynamo powering the Supernova lights. 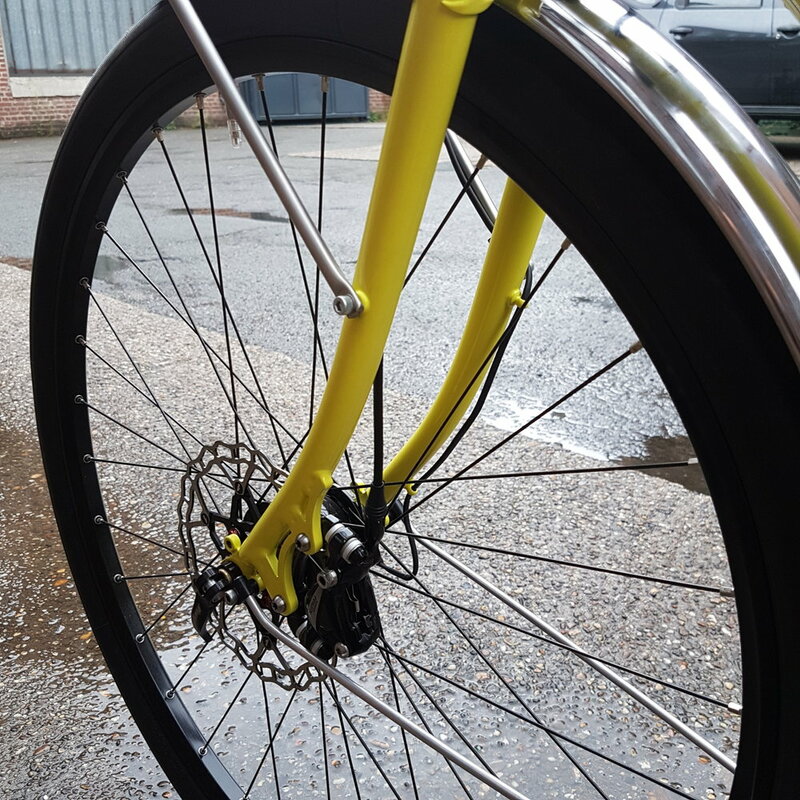 Fenders are made in France by Gilles Berthoud SAS. The tires are the plush 650bx42mm Compass Babyshoe Pass.